Most of our puppies are Cavachons, but every now and then we have a Bichon Frise or Cavalier King Charles Spaniel litter. 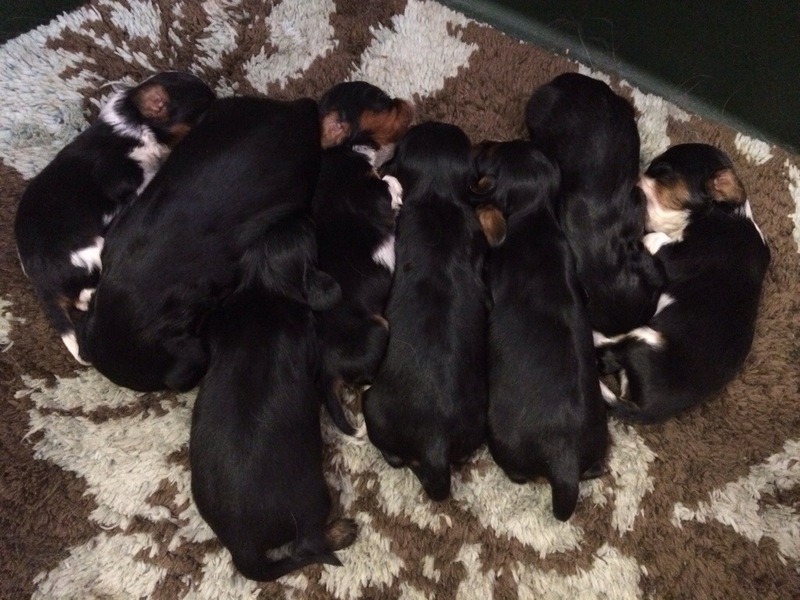 These are our newest babies, a litter of 8 Cavaliers!! We will be keeping a couple of these pups but will be looking for homes for the rest. There will likely be a couple black/Tan males available. If anyone is interested in a Cavalier pup, please send us an email. Thanks! Please send us an email at silverpawcavachons@gmail.com and we can talk about the Cavaliers. Thanks! Interested. What is the price and time frame?? They are darling.